Results on state matriculation exams 2017: Twelve perfect scores on matriculation exams 2017 for Zlatarski International School’s students. Congratulations to Veselia Tsolova (6.00), Gergana Negovanska (6.00), Antoaneta Atanasova (6.00), Viktoria Zaharieva (6.00), Georgi Krastev (6.00), Elitsa Zafirova (6.00), Nefeli Karapanou (6.00), Georgi Karaivanov (6.00), Maria Kostova (6.00), Martin Kirilov (6.00), Michelle Serova (6.00), and Hristo Shotev (6.00)! Well done, Class of 2017! On June 14th 2017, the Ministry of Education and Science published the results from the national matriculation exams in 12th grade. 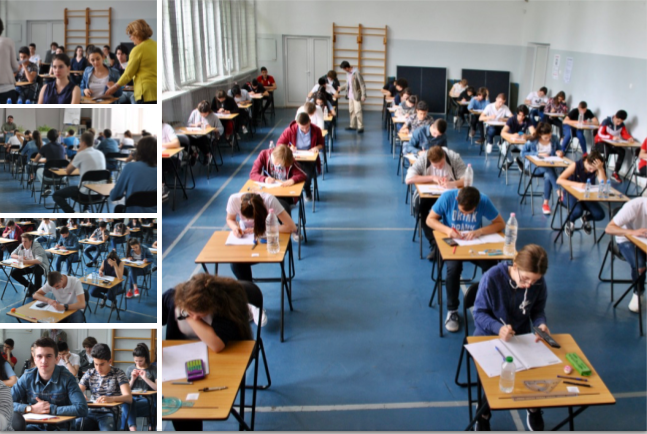 Zlatarski International School with an Excellent score (5,74 of 6,00) is in THIRD PLACE IN BULGARIA for the results on the second matriculation exam. The best performance on the Bulgarian Language and Literature exam was shown by the students of the 91st German Language School with an Excellent result (5,66). 93% of our students have achieved excellent scores of above 5,50 on the matriculation exam in English. These are the highest results on the matriculation exam in English in the history of the school! Congratulations to Veselia Tsolova, Gergana Negovanska, Antoaneta Atanasova, Viktoria Zaharieva, Georgi Krastev, Elitsa Zafirova, Nefeli Karapanou, Georgi Karaivanov, Maria Kostova, Martin Kirilov, Michelle Serova, Hristo Shotev, Petar Petrov, Ilana Stambolieva, Karolin Gavrilova, Kalina Hristova, Luka Lozovic, Mila Elin Dikova, Emilia Laleva, Nikita Chugunov, Nikoleta Dancheva, Alexandra Merekyova, Teodor Iliev, Yoanna Dimova, Maria Livshits, Alexandra Savcheva, Viktor Savov, Julian Lekov, Stefan Hristov, Elizabeth Gugova, Georgi Donchev, Ivan Iliev, Ivan Sariev, Volena Kaneva, Elitsa Chausheva, Asen Olovanov, Jaklin Peycheva, Polina Popova, Alexander Grozdanov, Martin Bogdanovski, Alexander Georgiev, Neda Stoyanova, Ruslan Stanchev, Maxim Markov, Vladislav Petkov, Agnes Cherneva, Mihaela Dimitrova, Velena Pissareva, Petar Bozhilov, Nikol Skorcheva, Maria Brestenska, Yana Nikolova, and Alexandra Vodenicharova! All of them have received more than 5,50 on the English matura! 45% of our students have achieved excellent results above 5,50 on the matriculation exam in Bulgarian language and literature. Apart from the national matriculation exams, the graduates sat the externally evaluated international exams towards the International Baccalaureate Diploma and Certificates. The top performing students on the English matriculation exam are: Congratulations to Veselia Tsolova (6.00), Gergana Negovanska (6.00), Antoaneta Atanasova (6.00), Viktoria Zaharieva (6.00), Georgi Krastev (6.00), Elitsa Zafirova (6.00), Nefeli Karapanou (6.00), Georgi Karaivanov (6.00), Maria Kostova (6.00), Martin Kirilov (6.00), Michelle Serova (6.00), Hristo Shotev (6.00), Petar Petrov (5.99), Ilana Stambolieva (5.99), Karolin Gavrilova (5.98), Kalina Hristova (5.96), Luka Lozovic (5.95), Mila Elin Dikova (5.93), Emilia Laleva (5.92), Nikita Chugunov (5.92), Nikoleda Dancheva (5.89), Alexandra Merekyova (5.89), Teodor Iliev (5.86), Yoanna Dimova (5.85), Maria Livshits (5.85), Alexandra Savcheva (5.85). The top performing students on the matriculation exam in Bulgarian language and literature are: Gergana Negovanska (5.95), Maria Kostova (5.86), Mila Dikova (5.86), Antoaneta Atanasova (5.85), Karolin Gavrilova (5.79), Hristo Shotev (5.78), Elitsa Zafirova (5.78), Veselia Tsolova (5.72), Ilana Stambolieva (5.70), Alexandra Merekyova (5.68), and Jaklin Peycheva (5.67). Incredible success on the 2017 matriculation exam in English! We owe this success to the thorough study of the English language which begins as early as grade 8, and to the professionalism of Zlatarski International School’s teachers. And because of the international programmes IGCSE and IB which are taught entirely in English, the students build up confidence in using the language and thus they can apply it in both academic and informal situations. Having a good mastery of the English language is one of the main criteria for admission to foreign universities while the most prestigious of them require a very proficient level, demonstrated through results from exams such as the maturas, the IB exams, IGCSE, IELTS and TOEFL. Seeing the amazing results on the English matura, we have no doubt that all Class of 2017 students will demonstrate the same success in their IB Diplomas, the results of which will be announced at the beginning of July, and that they will be admitted to their desired universities all around the world. On June 14th 2017, the Ministry of Education and Science published the results from the national matriculation exams in 12th grade. The best performance on the Bulgarian Language and Literature exam was shown by the 91st German Language School “Prof. Konstantin Galabov”. Their average score is Excellent /5,66/. Following them are 73rd school for foreign languages “Vladislav Gramatik” and 164th Spanish Language School “Miguel de Cervantes” with an average score Excellent /5,59/. The best results on the second matriculation exam were achieved by the graduates of the American College of Sofia – Excellent /5,84/, followed by the First English Language School with a an Excellent result /5,83/ and Zlatarski International School with Excellent /5,74/. Here is what the Ministry of Education commented on the Matriculation Exams 2017: “The results from the national matriculation exams on most subjects are higher than last year’s. The amount of points that students received in Bulgarian Language and Literature, Geography and Economics, History and Civilizations, Chemistry and Environmental Protection, English, German, French, and Italian has increased. There is a non-significant decrease in the results in Mathematics, Philosophy, Russian, and Spanish. The number of excellent students in both exams has increased. 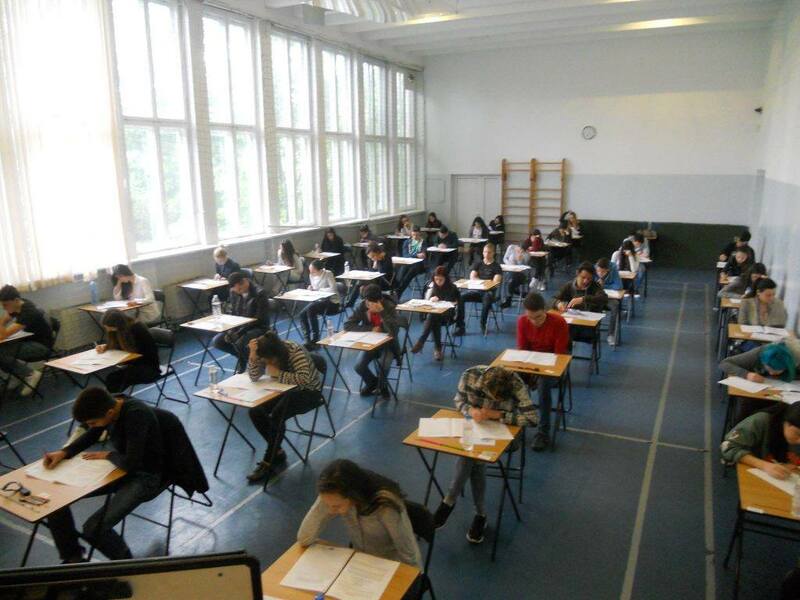 6155 people have shown excellent results on the Bulgarian Language and Literature exam, compared to last year’s 5602. On the second national matriculation exam, 11149 graduates have received a score of 6, while in 2016 their number was 9716. The number of graduates with 2 poor marks has decreased twofold – from 2325 in 2016 it has decreased to 1228. Twice as few are the poor marks on the second national matriculation exam, as well – from 6460 to 3190. 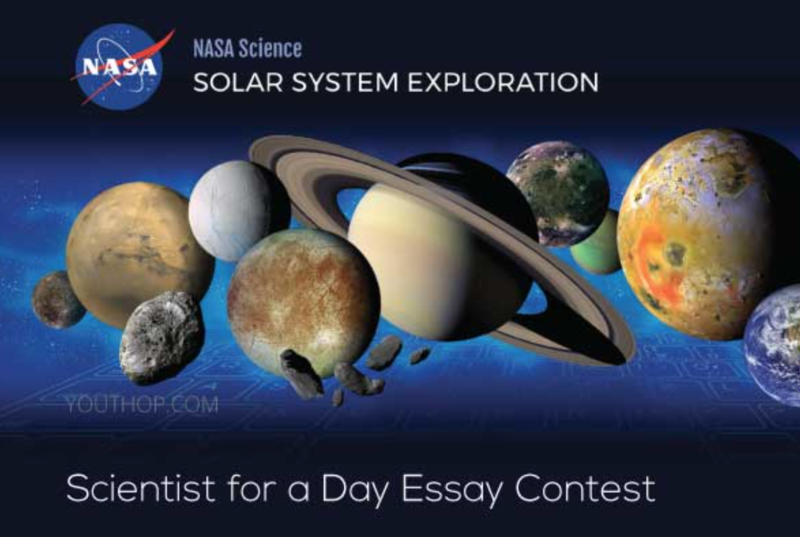 The students who have scored at least one poor score and thus will not graduate are 5882. The average score in Bulgarian Language and Literature is Good /4,13/ while for the second national matriculation exam it is Good /4,38/. Typically, the highest results are scored on the foreign language exams. The poor marks on 12 out of 14 subjects have decreased with scores of 2 increasing only in Mathematics and Physics and Astronomy. Traditionally, the highest scores on the two national matriculation exams are achieved by the students from profiled high schools where the average result on the first exam is 5,01 while on the second it is 5,20. 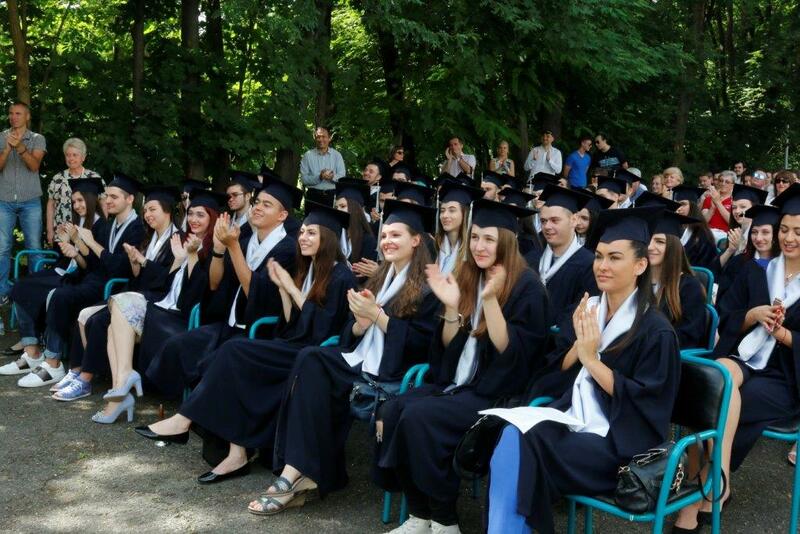 The lowest scores are shown by the graduates of the professional high schools – 3,79 in Bulgarian Language and Literature and 3,89 on the second matriculation exam. Girls usually score higher than boys.